What better way to spend a Tuesday than with Tacos and Tequila! 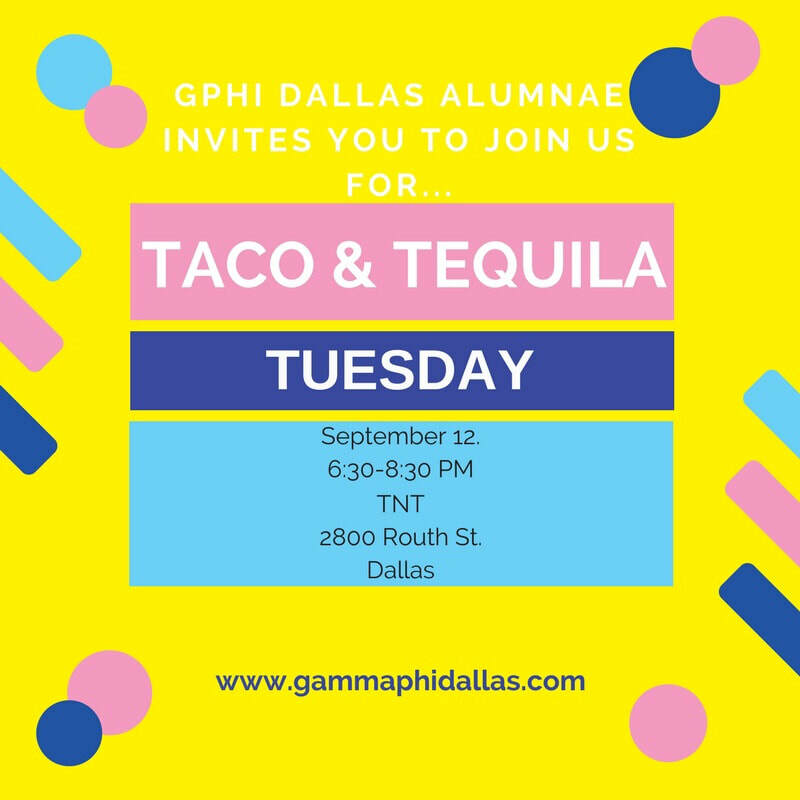 Come enjoy a fun evening in Uptown Dallas catching up with your sisters. We cannot wait to see you there! Event dates and basic information will still be posted via social media, but, the only place to RSVP and learn details will be Hobnob. So, click HERE to download the app. It takes less than 30 seconds.